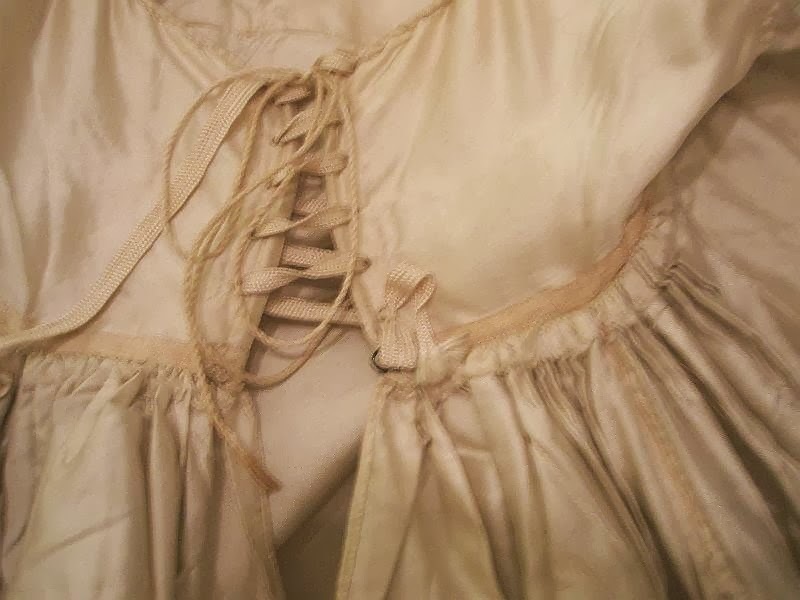 For auction is this delightful girl's dress (14 - 15 year old approximately, or a very petite lady) and there is a matching reticule. 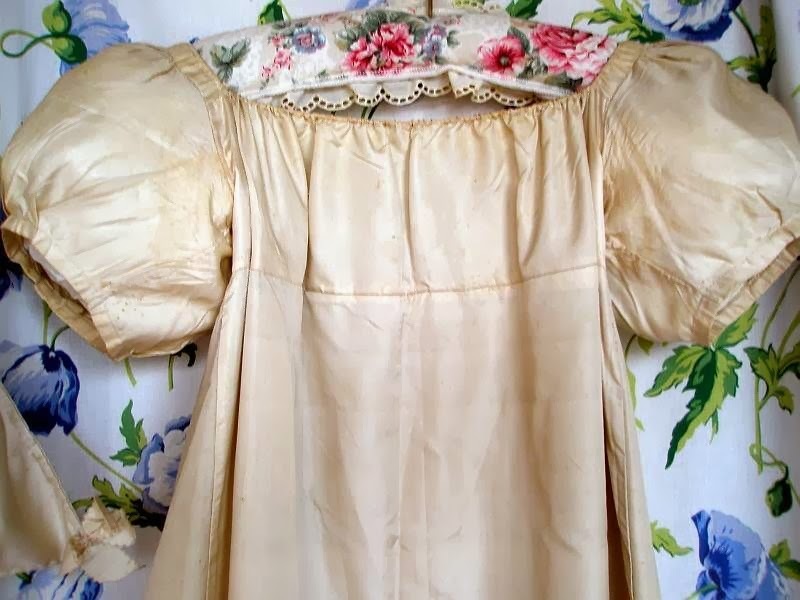 Both are in the same cream silk, and the gown has a very high waist and large puff sleeves. 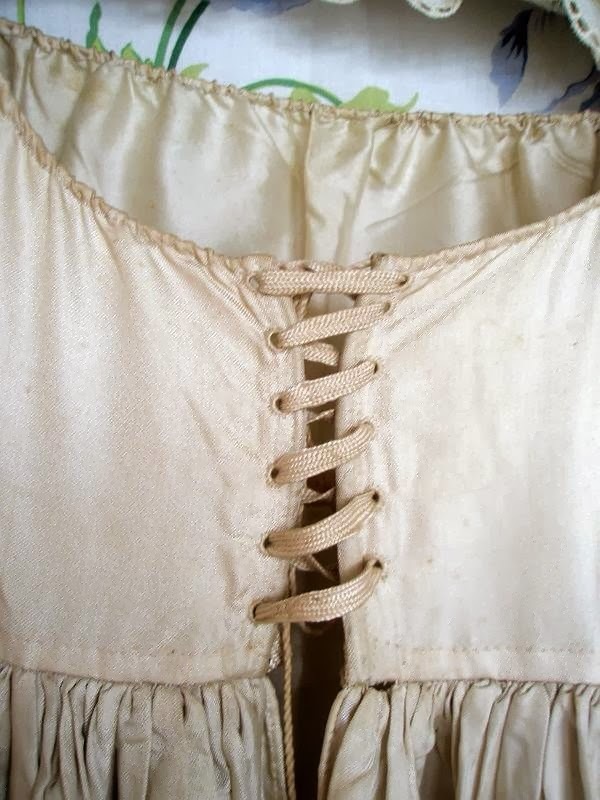 There is back fastening (the ties are possibly not original). 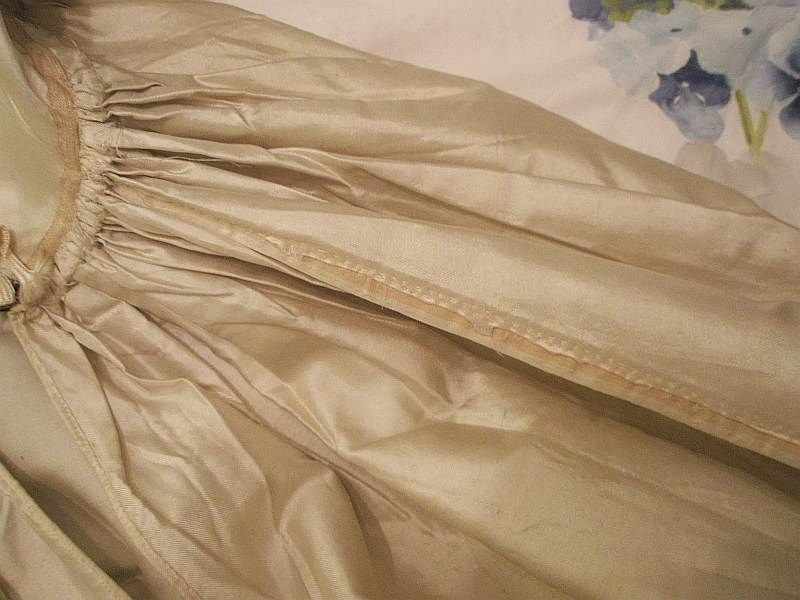 There is cream satin ruching around the hem. 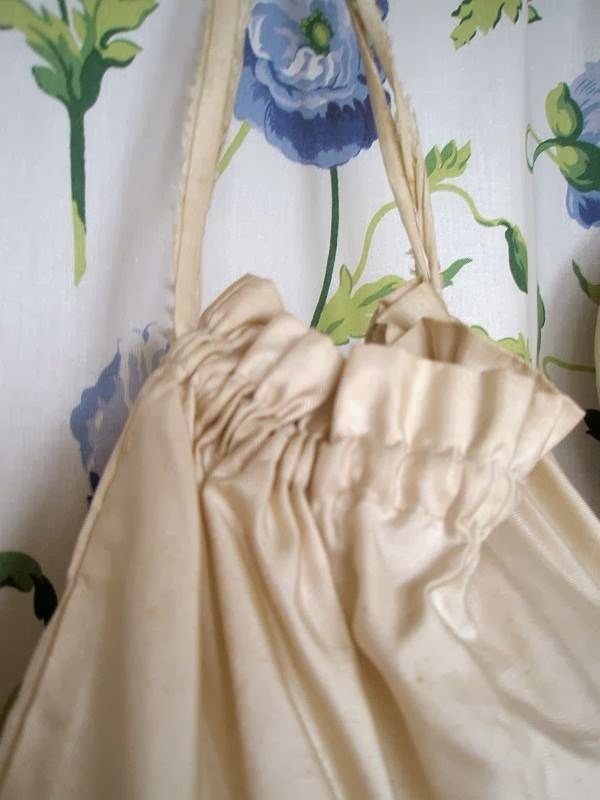 It is a real bonus to have the simple but attractive bag as a matching accessory. 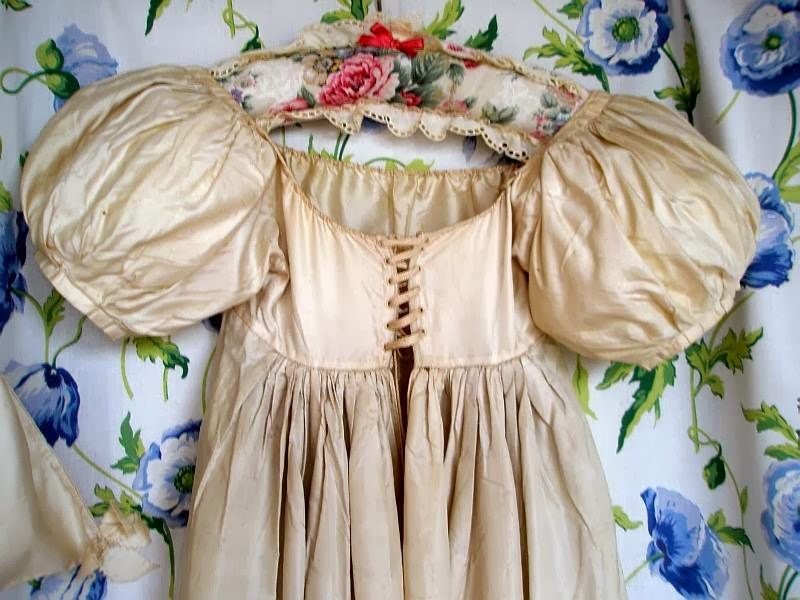 This has ribbon handles and little bows at each corner. The condition is very good. 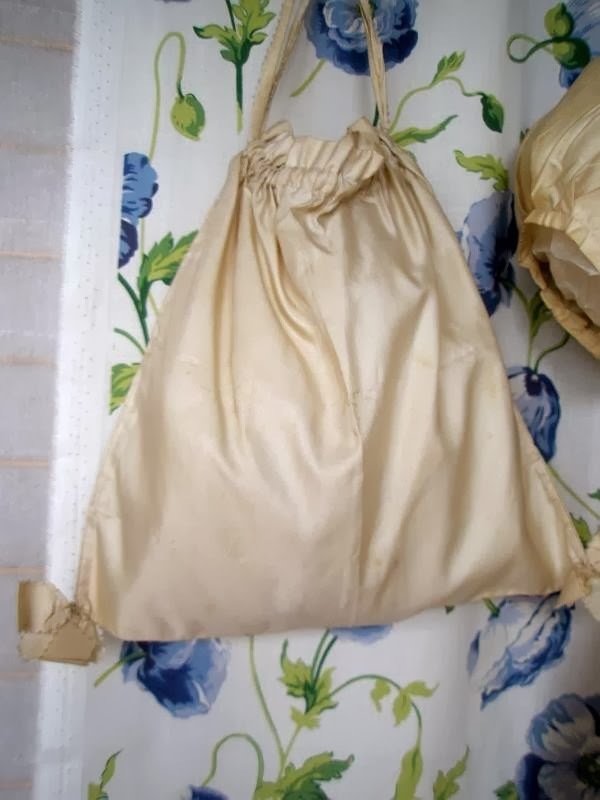 There are scattered groups of pinhead marks on the gown and the reticule, but these really are not dominant, and the silk is strong. From a short distance they are not noticeable - only when one looks closely. Measurements: Length 48". Across waist 13" approx. Skirt circumference 80". Across shoulders but without sleeves 10 1/2"
I'm pretty sure the measurement was taken, lying flat - meaning you have to double the waist measurement to get the true measurement. Anyway, I'm not entirely sure about this one, either. What causes me to hesitate is the lying - it looks new to me. 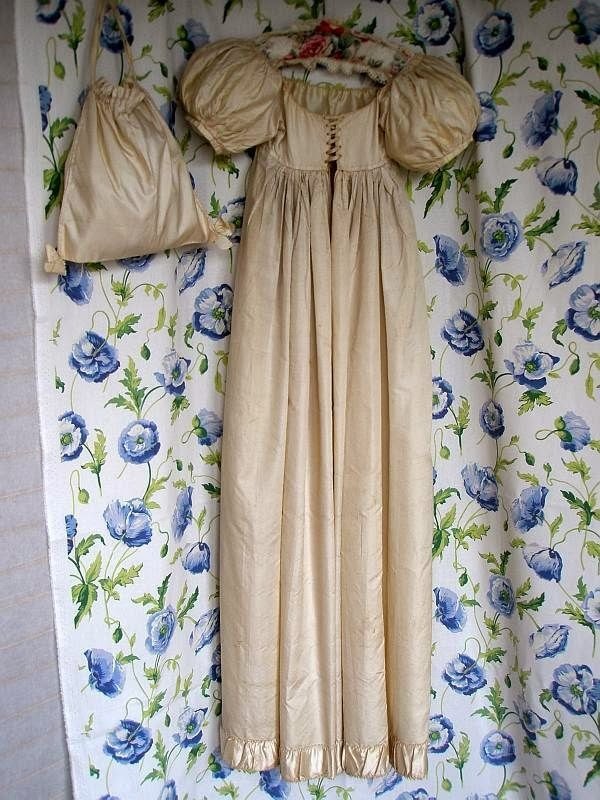 Actually, I don't recall a dress lined in anything other than linen or cotton before. 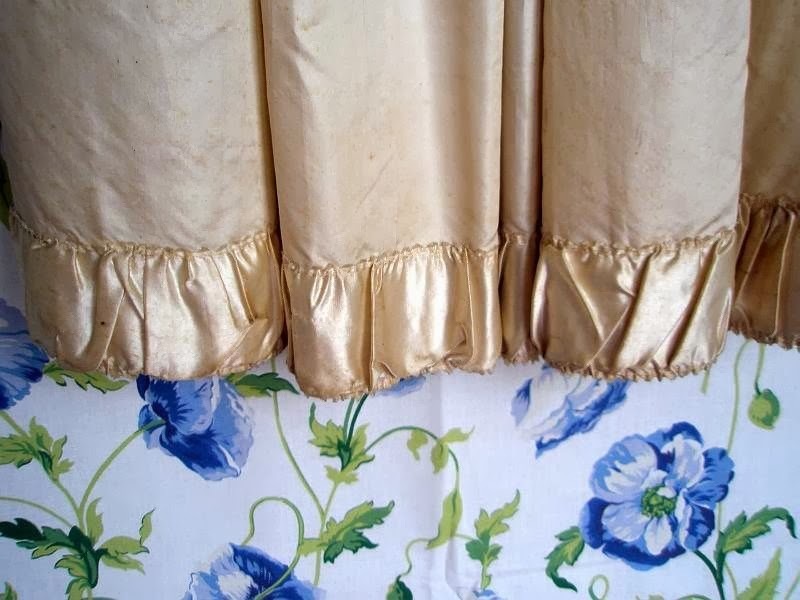 Also, the hem - I've seen faced hems before - but this one is all...gather up'd-ity. 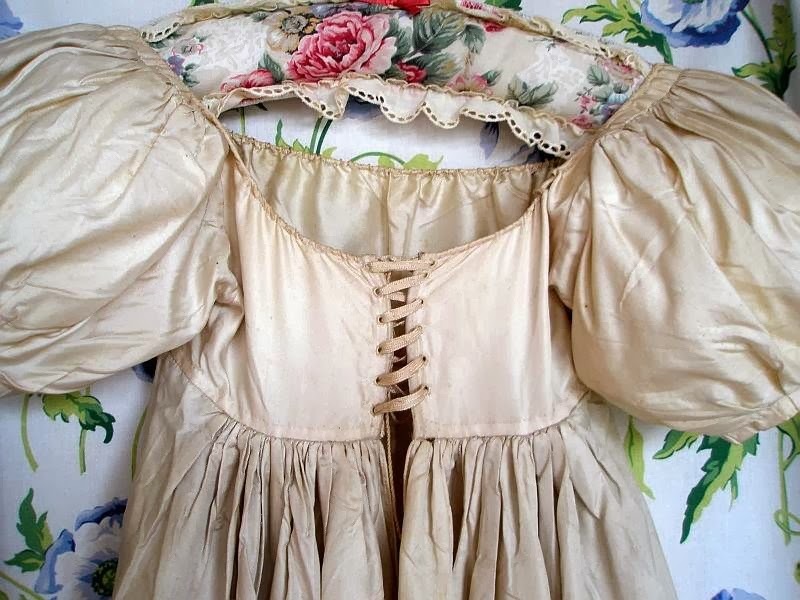 I think this might be a re-creation rather than the real thing. However, I'm really not sure.